We examine how reducing customer anxiety by matching your site’s appearance to prospects’ preconceptions and expectations increases conversion to sale. Many online services offer a free trial as their primary incentive to attract new subscribers. Generally, a free trial offer works well. 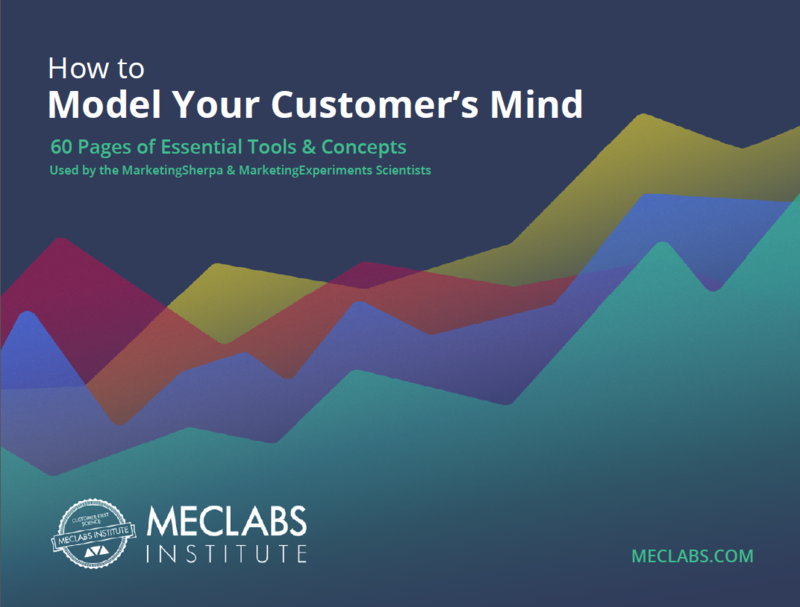 How does customer anxiety impact conversion? As we continually test and tune our sites, significant gains get more and more difficult to achieve. Often we, as marketers, become focused on a small set of site attributes, such as a banner or button design, and satisfy ourselves with moderate incremental gains, when much greater gains are possible by recognizing the preconceptions and visual prejudices of customer prospects and match our sites to them in order to reduce purchase-related anxiety. 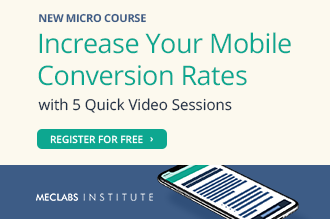 MEC Labs has identified five essential elements to website conversion, which are brought together in the MEC Conversion Formula. 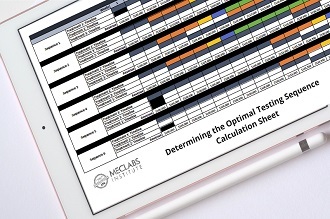 Attention to each element is necessary for optimal performance. In this brief, we identify eight key ways to increase site conversion by reducing customer anxiety. Company: A diversified company offering online people-search/background-check services. Problem: How to increase conversion of an already well-optimized site. 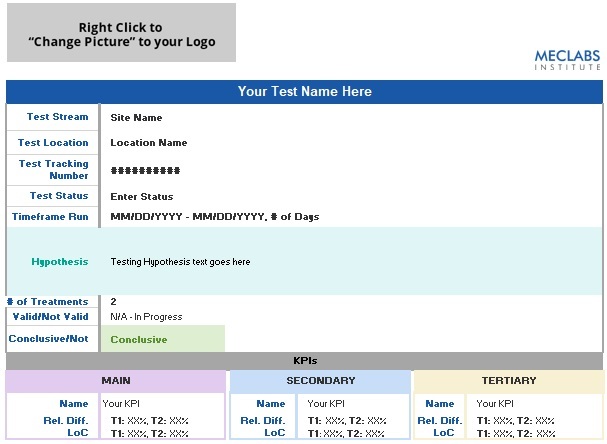 Background: The online people-search/background-check company’s home page design was already well optimized from many prior tests of key conversion elements. Analysis of recent test results, combined with other site activity and competitive analysis data suggested that customer anxiety related to the look-and-feel of the site might be a significant factor. Objective: To increase conversion by reducing customer anxiety through matching the look and feel of the site to prospects’ industry-specific expectations and visual prejudices. Here is what the top of the original page looked like. We tested an official-looking page against the (already highly optimized) baseline product offer page, which had a professional, though “commercial” look and feel. The new official-looking page was intended to better match the expectations of target customers related to color, page layout, copy tone, and other visual attributes for this industry and product category. Here is the top of the experimental page. What You Need To Understand: The official-looking offer page conversion rate was 12.7% higher than the baseline page. This gain translates to a projected annual increase of $366,988—at no increased cost in marketing budget. As this case illustrates, matching the overall look and feel of the site with prospects’ visual biases will reduce anxiety and increase conversion. Once this is done, there are other measures you can take to further allay the fears of prospective customers. Credibility indicators, site ratings, and third party testimonials can reassure visitors about your trustworthiness and stability, as we reaffirmed in our second case study with a company in the financial services sector. Problem: A crowded trust-intensive product market and a skeptical customer target segment. Objective: To increase conversion for the company’s online newsletter subscription offer. Background: The company’s newsletter offer page was professional looking and resembled those of other large-scale competitors. Indications from site navigation logs, test results, and demographic research suggested that customer anxiety was contributing to drop-out in the subscription order process. Consequently, a number of anxiety-reducing elements were incorporated into the optimized order process, including customer testimonials, third party credibility indicators, adjustments to language and tone, message personalization, and placement of the satisfaction guarantee near the call-to-action. 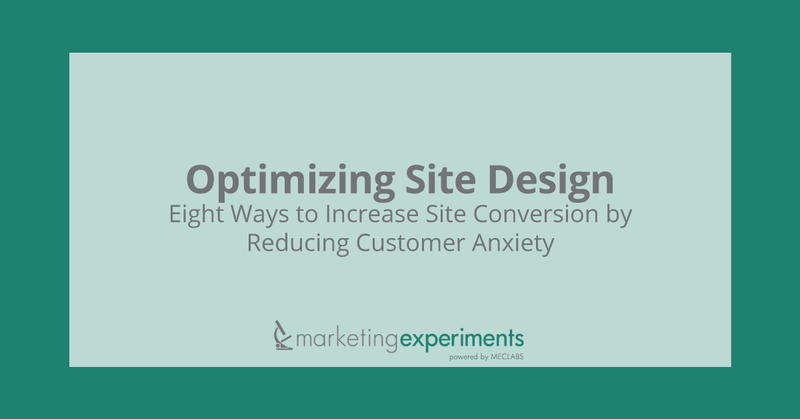 What you need to understand: Optimization of anxiety reducing site elements yielded a 70.5% increase in conversion. How visitors to your site perceive you plays an essential role in determining whether they buy from you or move on to your competitors. The primary factor at play in customer perception is anxiety. Two of the time-honored principles of sales are that fear of loss is greater than the desire for gain, and when appearance and reality clash, appearance always wins. The objective is to make appearance and reality the same. For more on this principle, read the MEC Labs Journal brief “Transparent Marketing”. We will teach the full meaning and practical application of this formula in our upcoming class on landing page optimization. You can learn more about about it here. Testimonials. Use testimonials that specifically resolve customer anxiety or answer customer questions. For example, if prospective customers are worried about how long it will take a product to be delivered, include a testimonial that talks about how fast the customer received his order.A word of caution: Use testimonials judiciously. Include only those that address specific sources of customer anxiety, and ensure that each testimonial is placed as close as possible to the step in the order process at which it is most relevant. For example, use trustworthiness and customer service testimonials near the payment processing step and those about delivery speed close to the shipping information form. Use language that is familiar to your target audience. Pay attention to topic-specific terms and acronyms. Match the tone to the buying situation. Credibility indicators. Include third party credibility indicators such as BBB, Trust-e, Hacker Safe, and affiliations with or endorsements by trusted companies or trade associations.Once again, these should be placed near the calls to action that they are most closely related to. Site ratings. Include symbols or links to any sites that rate your products or services such as ResellerRatings.com, BizRate.com, NexTag.com, and PriceGrabber.com. Be sure to monitor these sites to ensure that they continue to contribute favorably and promptly remove any that fail to do so; at least until you have resolved the cause of the problem. Guarantee. Offer a guarantee on their purchase such as a 90-day risk-free trial; 100% money-back guarantee; or a 100% satisfaction guarantee. Ensure that the guarantee is clear, prominent, and placed close to the “Order Now” button. Other anxiety-reducing site features. Include essential contact information, an “About Us” page, and customer support information. This is especially important for retailers when customers are assessing whether you are a reputable company.Whenever possible, include a telephone number on the check-out page as reassurance that it is easy to reach you in the event that they have a problem or question. Eye path. Five elements control the eye path: size, color, motion, shape, and position. Ensure that you design your pages such that the most important decision elements are along the primary eye path. Listen to the audio version of the clinic for expansion on this and the other elements. Colors and themes. Use colors and themes that match your product. For example, in Case Study 1, because of the nature of the product and the target market, red, white, and blue colors were used to support the desired “official” look and feel. The American flag was used for familiarity and a natural extension of the color theme, and a “seal” to connote authority among those in the primary target market of adults in the U.S.
Each of these elements serves to reduce customer anxiety by reassuring prospects that doing business with you is safe and that you will deliver as promised. As we discovered, reducing customer anxiety using the methods described in this research brief increases conversion-to-sale by reducing the number of customers who abandon the order process. Remember that the impression your site visitors experience in the first few seconds after arriving on the landing page will determine whether they stay long enough to objectively evaluate your offer or whether they quickly move on to seek a “safer” place to shop.